See our Cabin Escape review here. 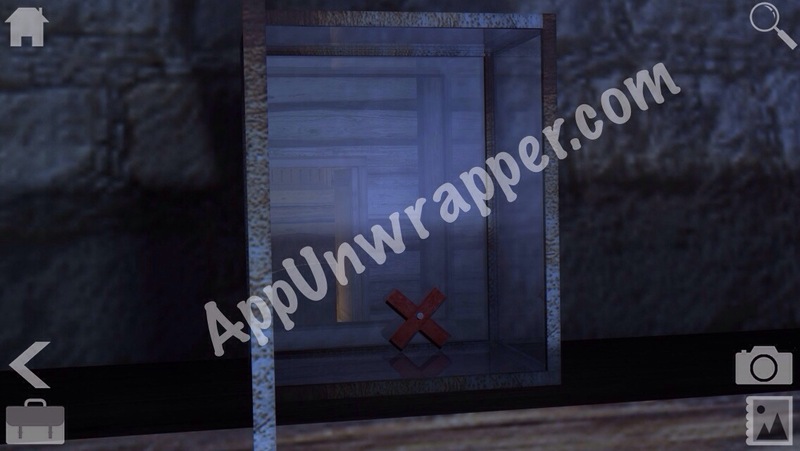 If you’re stuck on the “USE HAMMER ON THE BOX” puzzle in Cabin Escape, this will help you. Click here for the full walkthrough. Remember what it says on the box above the fireplace? “USE A HAMMER ON THE BOX.” There’s a box on the computer screen (Think outside the box). There’s also a hammer on the screen, part of the “Settings” icon. Drag the hammer to box and then check the fireplace. The box will be open and you can get the last wooden cross. See my Forever Lost 3 walkthrough. Also, make sure to check out my little preview and teaser for Forever Lost Episode 3!